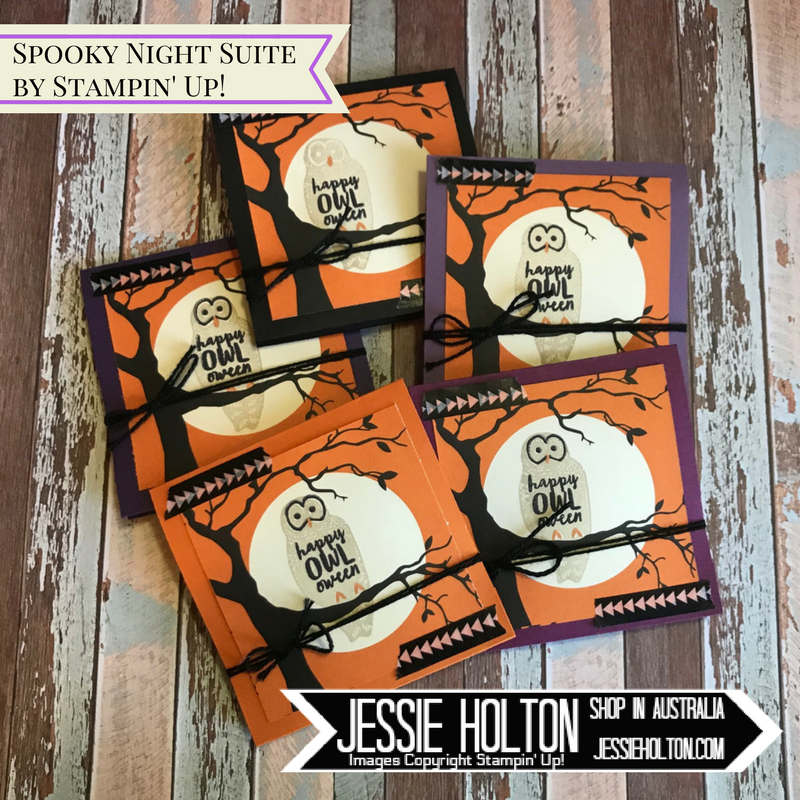 Thanks for joining me for the Fall/Halloween One Stamp At A Time Blog Hop! What a fun time of year! Here in Australia, we are just coming into summer, so no fall colours here. We are starting to get a lot more kids coming around for Halloween as it's only just started to get popular the last 5 years or so, with more kids & households participating each year. I thought I would do a little treat for the parents taking the kids around. I'll be making treats for the kids as well, but I thought some little tea bag holders would be a nice surprise for the parents... I'm sure they'll get some of the kids' chocolates! How fun are these? 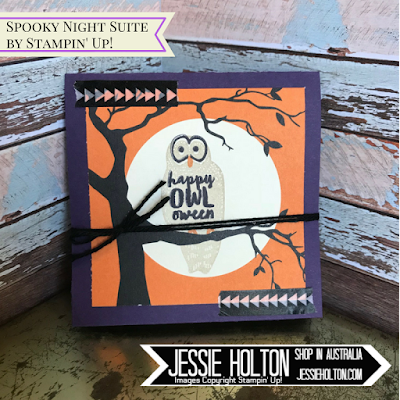 And they are super easy to make with all the cutting & scoring done on my Stampin' Trimmer! The DSP is a 3" square, glued on with Tombow Liquid Glue & then I've added Basic Black Baker's Twine & Washi Tape. I have used Elegant Eggplant, Rich Razzelberry, Perfect Plum, Basic Black & Pumpkin Pie Cardstock for the bases, cut to 3-1/2" x 8-1/4", scored in the middle & then 3-1/2" from either side of the middle score line, so you have about 3/4" to folder over to make the pockets on the inside. 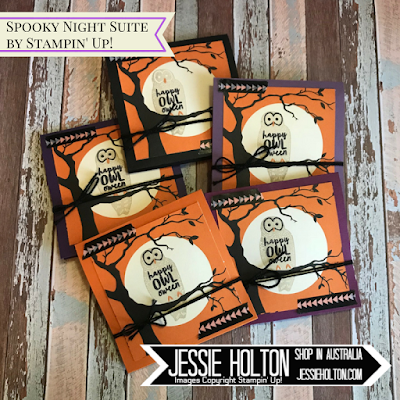 The moon & trees is one of the patterns from the Spooky Night Designer Series Paper (DSP) & I have added the owl in Sahara Sand from the Spooky Cat Stamp Set. 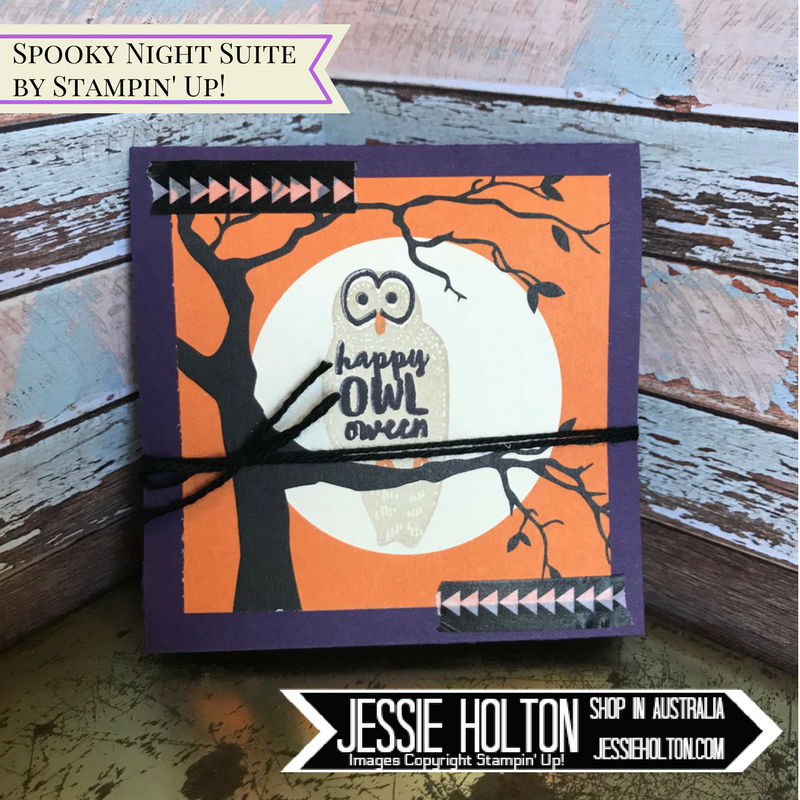 The eyes & sentiment are one stamp, which I have inked in Basic Black & the beak & feet are also one stamp which I have inked in Pumpkin Pie. I ended up cutting the stamp in two so I could just use the sentiment. You can see the top tea bag holder in the pic above doesn't have the black around it's eyes. 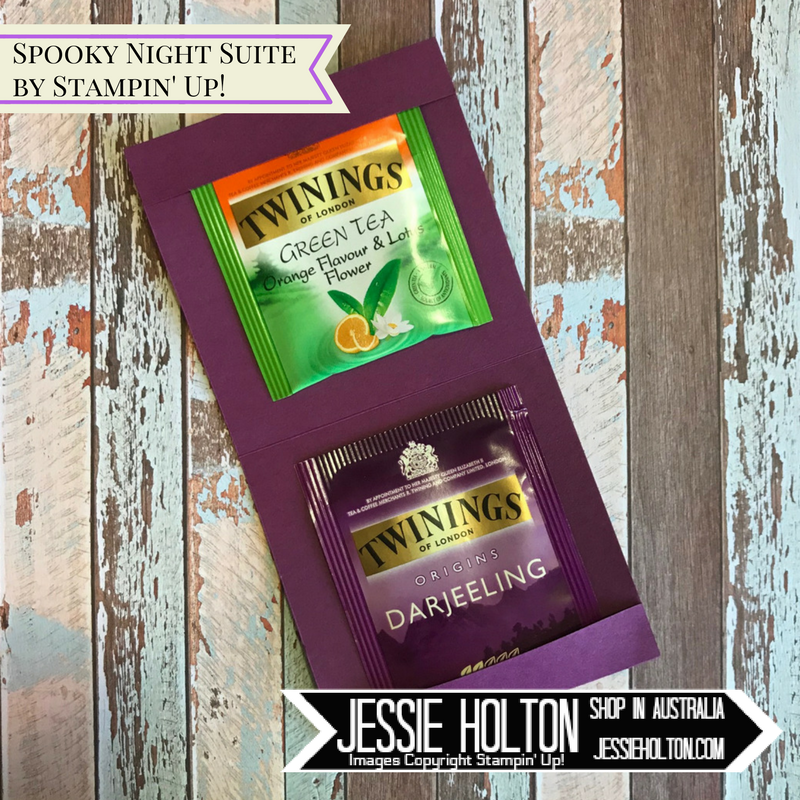 And I tried to keep the teabags to matching or Halloween themed colours. I've used a Glue Dot behind each tea bag to keep them in place. I'm really happy how these turned out. Make sure you 'LIKE' my Facebook page so you get to see all my Facebook Live videos! Next up is the very talented Rick Adkins!